Carpenter Park was acquired in 1921 and has 434 acres. It is located on the north side of town, west of Business Route 55 (Peoria Road). The Sangamon River forms its south boundary and a golf course and residential area lie to the north. To the west across the railroad right-of-way is Gurgens Park. 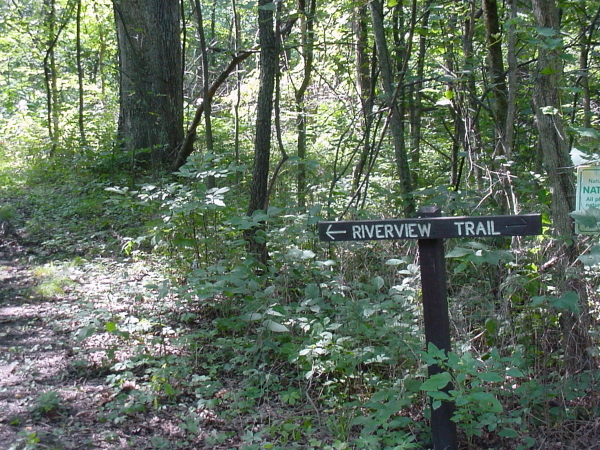 Carpenter Park is largely a wooded area near the Sangamon River. Vehicular access is from Peoria Road. A winding park road leads to a clearing with a parking lot, historic stone shelter, a picnic area and a map. 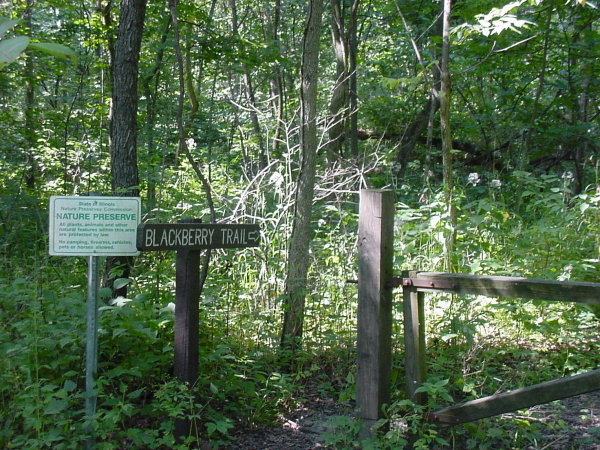 This area serves visitors to the park and it provides basic trail head facilities for the trail system within the park. 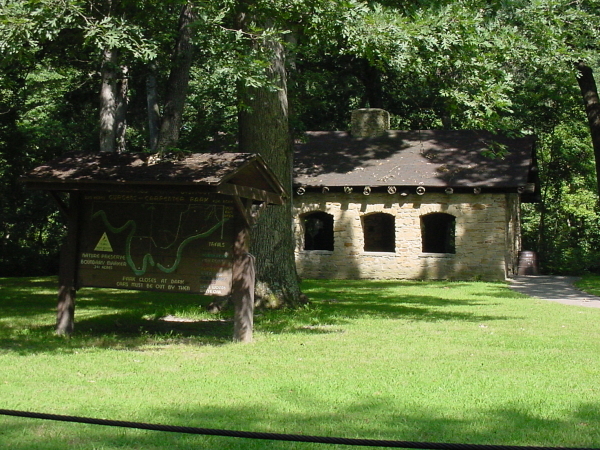 The park is primarily used for hiking and nature observation. Friends of Sangamon Valley, the Sierra Club and other groups conduct work days at the park to plant native species and control invasive plants. Part of the park is an Illinois Nature Preserve with management guidelines established by the IL Nature Preserves Commission. 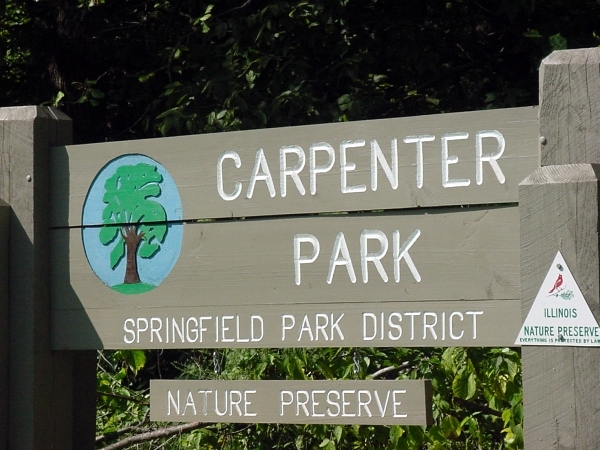 Carpenter Park was acquired from the purchase of the Carpenter estate. It was the only virgin woodland in the Springfield city limits. It was originally developed not to be a park but for people to come and enjoy nature. The Carpenters were important citizens of Sangamon County and Springfield Illinois. His house was an essential to the Stage line in the 1870s on the way to Peoria. He was also heavily involved in the mercantile business including flour and sawmill.